An artist starts his painting on a clean canvas, a makeup artist starts makeup on a clean prepped face. These are guide and reasons why you should be double cleansing if you haven’t already. Most of us understand the importance of the three basic step of skincare; Cleanse, Toneand Moisturize, but not many know how to get the most out of these steps. Let us talk through about the first step which is cleansing. In this era, our skin is so exposed to various kinds of dirt, oil and grimes from the air, our filthy hands and even from our own makeup products. Hence, we need to make sure that we properly clean our face in order to get clear skin. So what is double cleansing? As the name says, we clean our skin twice. Oil cleansers, also known as makeup removers are best to be used first, followed by your normal facial cleanser. The oil cleanser will help dissolve all of your makeup and clean off most of dirt, oil and bacteria that has been sitting on the surface of your skin all day without stripping out the moisture from your skin. Some people are terrified over idea of putting ‘oil’ onto their already oily skin. Luckily, the skincare technology has improved so much! If you don’t like the idea of oil cleansers, Micellar Water is the key ingredient that you should be looking in your makeup remover. They work just as wonderful, just as moisturizing, only water based. Second cleanse is mostly to get rid of any residue left by the makeup remover that you used prior. You can opt for cleansers with ingredients that are targeted specifically for your skin concerns, such as salicylic acid, if you are suffering from blackheads. You can also incorporate cleansing tools in second cleansing step such as sonic brush or konjac sponge for more thorough and deeper cleanse. By doing this, your skin will thank you for the clean and clear pores. Not only you’re minimizing the chances of getting comedones (clogged pores) , but you’re also maximizing the absorption of any skincare products that you’re going to apply after. Toners, serum, moisturizers, will sink in deeper and better into your skin simply because there is no barrier of dirt in your pores. So the next time you think a product did not work for your skin, think again. Because it may be due to failure of them being penetrated deep into your skin. Give double cleansing a try, and good luck! 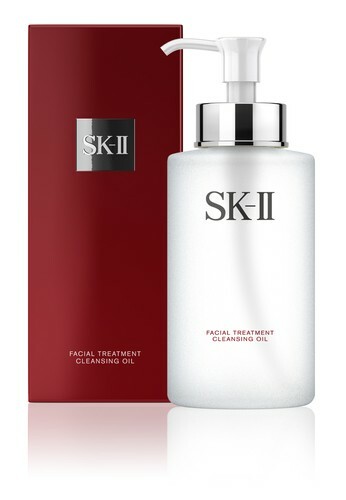 Are you one of those who does double cleansing? Any other tips to share? Feel free to leave them in the comment section below.